This relic of a distant world is one of many that was used in a great war which shook an entire planet. Its hidden power was awakened by one of the world's most beautiful and mysterious melodies, granting its user unusual benefits. Eclair de Larmes Massive Light damage to a foe. .. 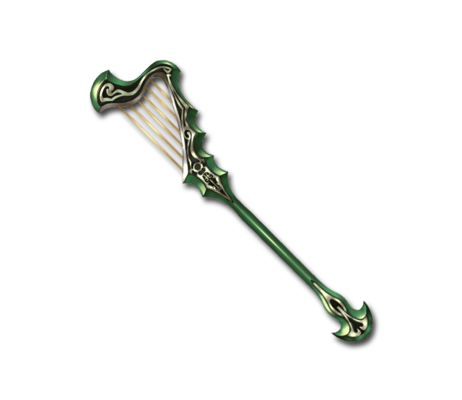 However, a Fonic Rod-enhanced skill is still slightly weaker than when used with an actual Harp weapon. Eclair de Larmes is a reference to one of Tear Grants's artes from Tales of the Abyss. It means "flash of tears" in French.